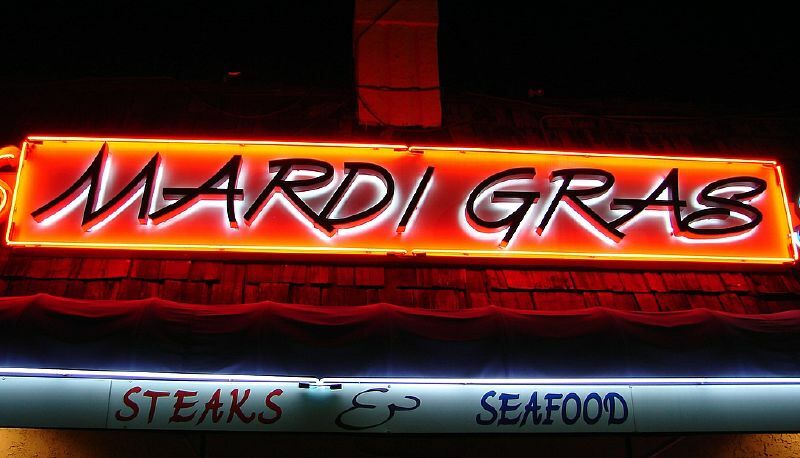 It seemed appropriate to have dinner at one of our favorite local restaurants, Mardi Gras, tonight. We usually get a table right away, but of course there was more of a crowd and a wait. I didn't mind and, as a bonus, we still got our favorite waiter, Tom. I had hush puppies, fried alligator, crab cakes, and banana custard with vanilla wafers. So good. So filling. I probably don't need to eat for a few days, but of course I will. Let the good times roll, as they say. Hi, never been there but since I recently started eating steak again I will have to try it. You had me at hush puppies. I will definitely have to try that place. mmmmmm...i'll leave the alligator (tried it once in florida, don't have to again), but everything else sounds yummy.